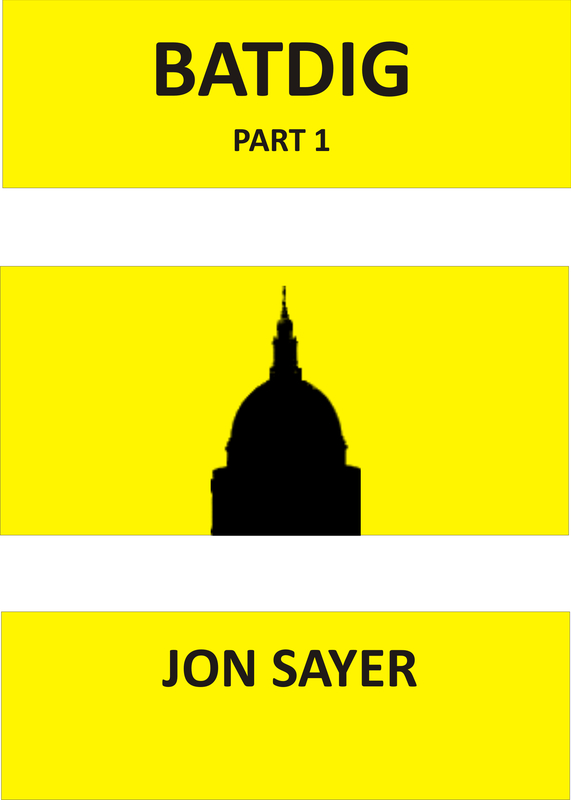 Part 1 follows twelve people as they travel to an address near St Paul’s cathedral to deliver mysterious yellow packages. Their arrival triggers an event of unexpected proportion, which affects the whole world. It started life as a National Novel Writing Month (NaNoWriMo) story in 2011. The idea is to write the first 50,000 words of a novel in the month of November. It’s good fun and BATDIG part 1 was the result. The final story wasn’t quite what I had in mind when I started but the characters seemed to know what was happening better than I did so I went with them. You’ll have to read part 2 to find out! It is quite hard to classify BATDIG in terms of genre. General fiction blended with mystery and science fiction. Suspense with denouement! It’s all in there! My parents were very keen that I was literate and in secondary school, I had a brilliant English teacher (Mr Sanders) who was wonderfully eccentric. He had us writing stories very regularly and it was something I found I enjoyed. As an adult, writing was something that I tried to do, be it at work or just for the hell of it. When I told people I wanted to be a writer, they always asked “have you had anything published?” I would say “No, but…” and the conversation would end. I wrote a few short stories, a chunk of a novel that was almost “The Matrix” and a lot of technical stuff for work. People generally seemed to hate writing anything but I loved it. After a long contract that kept me away from home, I decided to give writing a proper chance so now I work from home, editing scientific papers, whilst trying to be a full-time writer as well. It almost works! And, when people ask if I have had anything published, I can say “yes!”. 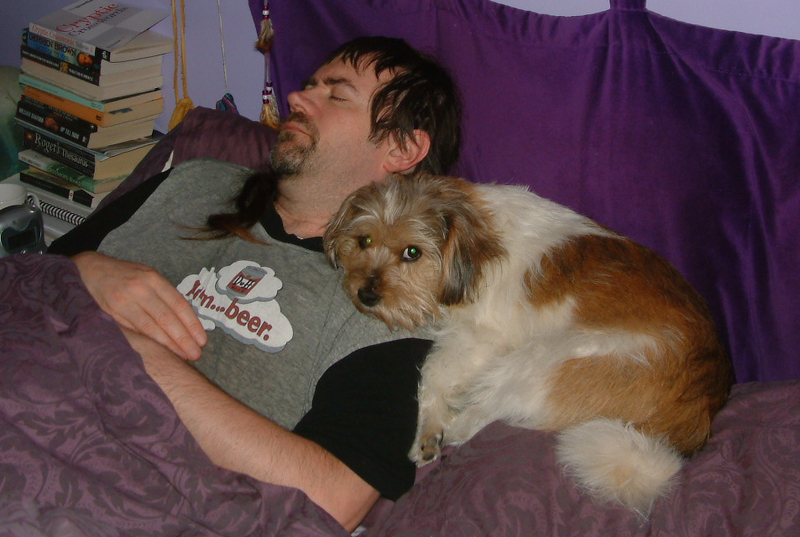 When I started to think about writing stories for other people to read, I didn’t want to go to a publisher without a fully-formed novel so, by the time I got around to writing one, the world was somewhat different and e-books were here to stay. I decided to start by self-publishing for the Kindle and go from there. I guess this is a route a lot of writers are taking now. So far, I have sold some copies and even given some away, which is encouraging. I was worried I may have written a book that I couldn’t even give away! Hopefully, publishers are checking out the sites that offer self-publishing, like that for the Kindle, as a way of finding new writers. After Jeff Wayne’s “War of the Worlds” came out, I designed a stage version which included red weed being put over all the seats at the interval and eight feet high Martians walking through the audience. Fortunately, I kept the design to myself and let Jeff do it himself, much more successfully, many years later. Also available on amazon.co.de, amazon.co.es, amazon.co.fr and amazon.co.it. Inside Barry’s head there were aftershocks from the original explosion, radiating through the strata of his hemispheres. Whilst some parts remained blissfully unaware of what had happened, others were collapsing around each other in grotesque disorder. Connections were being made that were never there before; those that were there were being torn apart. As the pieces began to fail, Barry’s brain was trying to rewire itself for its own preservation. Still, it was processing the data coming from all the senses that joined Barry’s brain to the rest of the world. There was the sound, from the tunnel, that sound that mingles with the ozone, and brings with it a rush of warm, stale air. The sound of the next train to London. Barry’s brain analysed that sound and sent the message to his motor cortex to stay on the bench. It would never be possible to know whether it was a failing in the connection to the motor control centre, a crossed wire or a non-existent link, or whether it was Barry’s higher self vetoing the signal, but what happened next was the exact opposite of what Barry’s brain had instructed. He stood up and walked to the very edge of the platform. He stared down at the laughing watch that he knew now wasn’t really laughing at him, merely mocking him with its silence, and felt sorry for it. The train come into view. The front of the train was now alongside the far end of the platform. Barry sat down on the platform’s edge, his legs dangling over the side. The front of the train was now alongside the middle of the platform with its brakes screaming under the pressure that the driver was applying to them. He stepped off the platform, into the space between life and death, just before the space becomes just death. The train was no longer moving; Barry was no longer moving. From under the train came the sound of a ringing mobile ‘phone, and the faint rustle of a carrier bag. Thanks very much for sharing with us Jon. I’m sure everyone wishes you much success.